CAcert has finally upgraded the Root and Class 3 certificates from the old MD5 encoding to the modern SHA-256. Your browsers will like us again! The new certificates were installed in “the usual places” on April 10th. 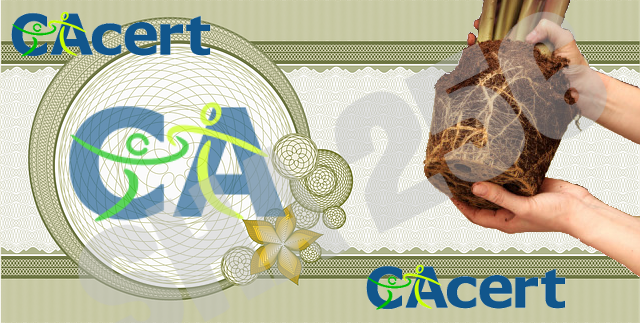 You may go to our web site home page, https://www.cacert.org, and over on the right-hand side, three lines from the top, is “Root Certificates.” The short way to get there is https://www.cacert.org/index.php?id=3. We would like to thank all software team members for the job they did. All teams consist of volunteers. If you want to support the work done by the Software Team, including the review, please donate to continue to run this service. Thank you. This entry was posted in Information, News, Progress and tagged New Roots, root certificate, Root Re-Signing, Software on 2019-04-11 by Etienne Ruedin2.